Diet in the wild: birds, rats, chickens, lizards, and many other mammals. Diet in the zoo: small rabbits and rats. Location in the zoo: left upper sidewalk in the Herpetarium. Grows to be a very large, and heavy snake. Length from 6 to 13 feet long. Variety of colors with diamond like markings on back. Eyes appear to be dull in color due to the brills over eyes. Wide, smooth head with pits directly above the mouth for sensing prey. 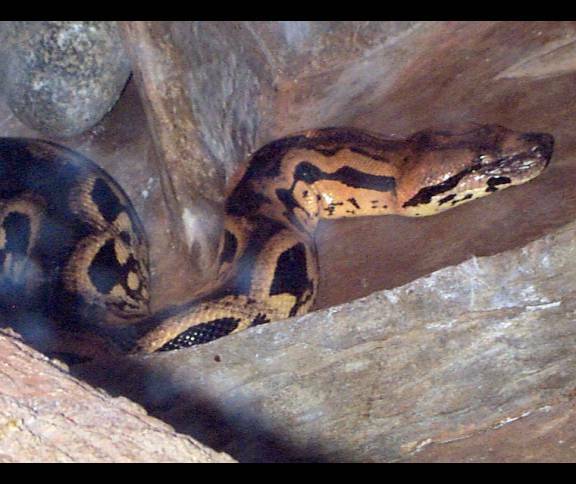 Boas breed shortly after the rainy season in the jungle. 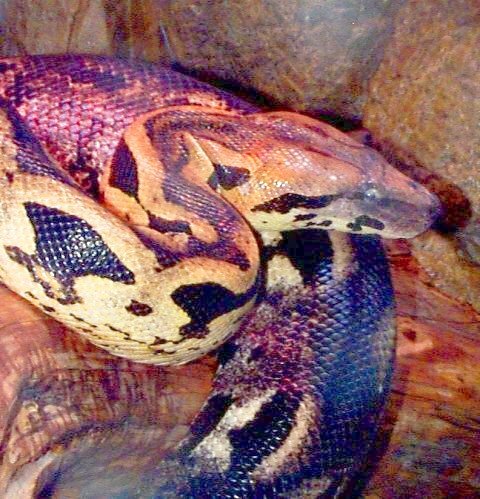 Boas have heat sensory organs that allow them to hunt/detect danger even when it is dark. They also slough, shed its skin many times each year. 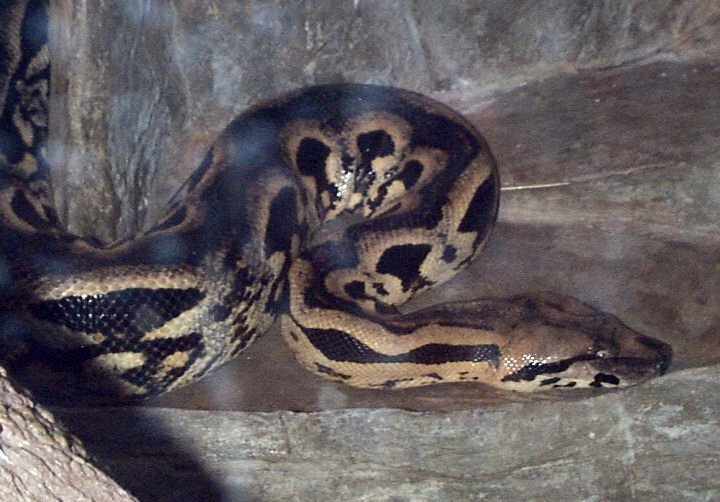 Generally killing their prey by wrapping their body around the victim and suffocating them to death before stretching their jaw to fit the size of the prey to swallow it whole. Boas use their forked tongues to detect their surroundings. They use Jacobson’s organs to help them trail their prey. 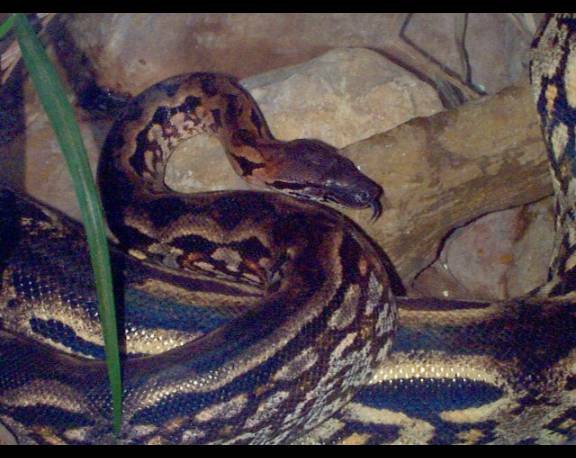 The Fort Worth Zoo Madagascar Ground Boa is on display in the exit hallway of the exhibit. The newborn Madagascar is also on display in the new arrivals display case. The Madagascar Ground Boa seemed to be very comfortable and didn’t move much during the time that I spent observing her. The only movement that I observed was her breathing.